Last week, we looked at how the EPA manipulated the public comments process for its new rule defining protected waters under the Clean Water Act. 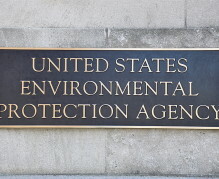 The agency’s officials met behind closed doors and teamed up with left-wing environmental activists to get as many comments in support as possible. Like elections in pre-war Iraq, the drive was too successful to be remotely convincing; nearly 90 percent of the comments turned out to be in favor of the rule, a number that was then cited by EPA officials as evidence of how popular the rule was. But as much as this rule was shaped by astroturfing, it will affect real people if it is allowed to take effect this summer. As the Ex-Im Bank example highlights, Republicans ‎are more interested in opposing cronyism in speech than in action.